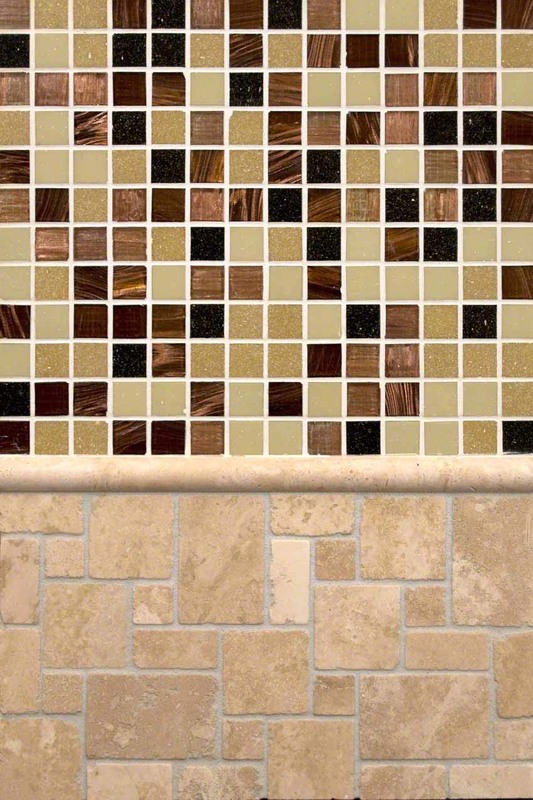 The warm rich earthy tones of Ivory Travertine are brought to life with the addition of our Desert Sunset Mosaic tile. In this backsplash design, Ivory Mini Versailles Pattern backsplash tiles and our Desert Sunset Mosaic are joined together with the Ivory Pencil Molding, unifying the design. Perfect as backsplash for kitchens and bathrooms, it will complement traditional, transitional, and contemporary designs.